Welcome, deal fans, to TechRadar's Deals of the Week. 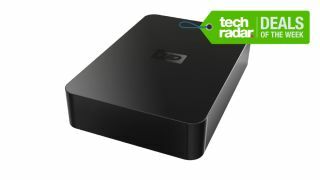 This week we've uncovered another top selection of tech bargains with our highlight being the WD Elements 2TB External Desktop Hard Drive for just £70.07, which is a saving of 33%. With plug and play simplicity and the quality you'd expect from WD, this 2TB USB drive is a perfect way to back up your photos and other important documents. For more top deals, scroll down and let the money-saving words go quietly into your eyes.